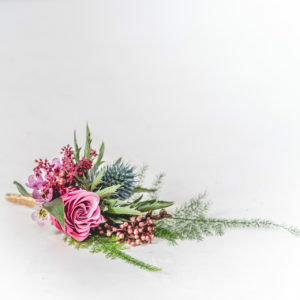 If you love our flowers and style, and perhaps have a vague notion of colour but are not particularly fussy on the variety of rose or specific content, our ready to wear wedding flowers may be just the ticket. 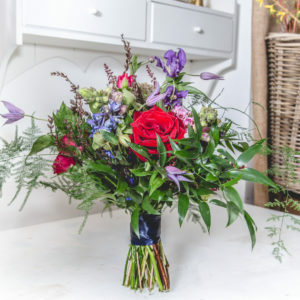 Choose from our suggestions, allow 2 days notice, and we will deliver your flowers on your wedding day by 10.30am. 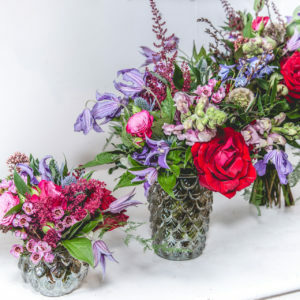 Table Flowers are supplied in vases to keep – perfect take-home gifts for guests! The New Town: Classic neutral greens, creams and whites. Romantic roses, manicured and elegant, with trailing greens. The Old Town: Rich, deep, moody and nostalgic. Bold stems and interesting textures. The Meadows: Wispy and wild, gathered from the hedgerow, inspired by the seasons. 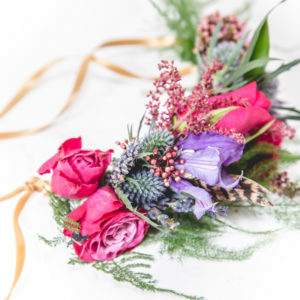 Choose from Bouquets and Buttonholes to Crowns and Table Flowers.